It’s never a good sight when a text fails to send in the Messages app, but sometimes the “failed message” alert isn’t as eye-catching as we want it to be, at times resulting in forgotten failed messages that leave the recipient hanging for hours. 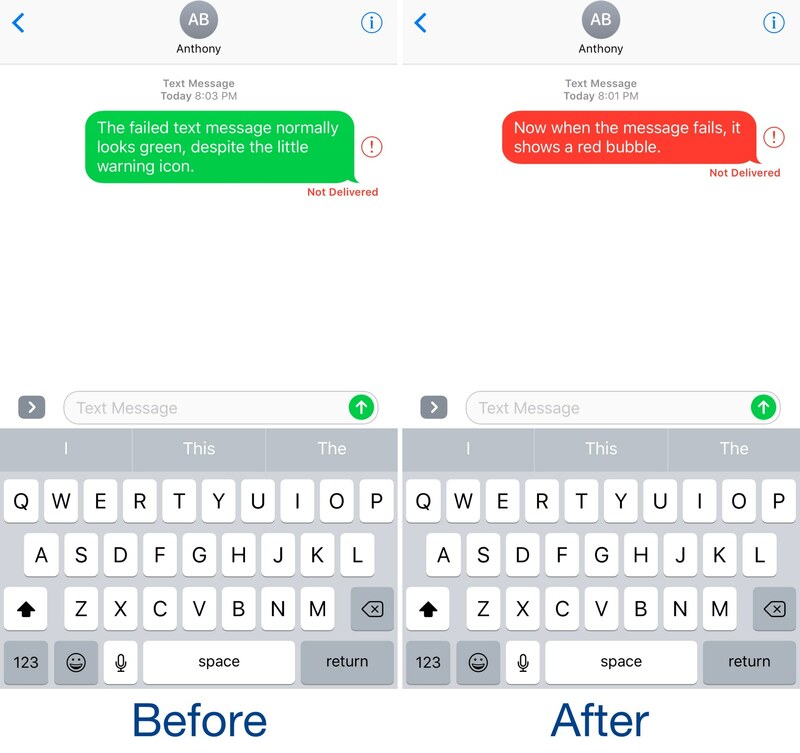 A new free jailbreak tweak dubbed RedFailedMessages by iOS developer NeinZedd9 has the goal of making it easier to discern between successful and failed messages by turning the entire chat bubble of a failed message red. Once you install this tweak, you’ll notice there aren’t any options to configure. Instead, the tweak takes effect immediately. 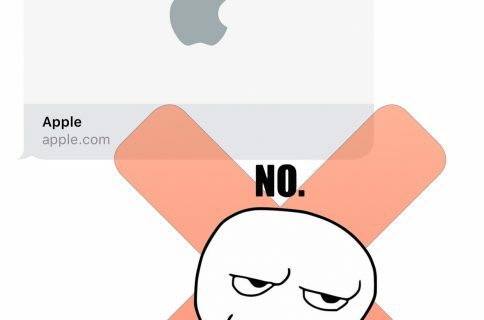 As shown above, you’ll no longer get just a negligible red exclamation mark badge beside your green or blue chat bubble. Instead, you’ll get a solid red chat bubble along with the stock alert, which is significantly more noticeable than the former. The tweak doesn’t impact the Messages app in any other way besides colorizing the chat bubble of a failed message, so other Messages app features continue to work how you’d expect. As soon as you send a failed message successfully, the chat bubble then turns the correct color – blue for iMessage or green for SMS. 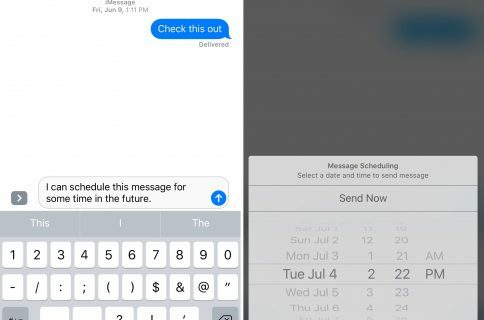 Because RedFailedMessages is much more likely to get your attention when a message doesn’t send as expected, it feels like an excellent addition to the messaging experience. In fact, this is one of those significant, yet subtle modifications that I’m surprised Apple hasn’t already poached in one of their own iOS updates. If you’re interested in trying RedFailedMessages, you can download the tweak for free from Cydia’s BigBoss repository. 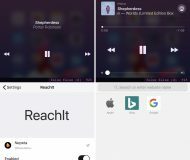 The tweak works on jailbroken iOS 10 devices and is open source on the developer’s GitHub. What do you think about the way RedFailedMessages illustrates messages that fail to send? Share in the comments section below.